A lots can happen over coffee, especially if that coffee is downed with your besties! We mean c’mon, the best gossip and catch-up happens when you glug down a potion of the most soul-awakening drink AKA coffee. 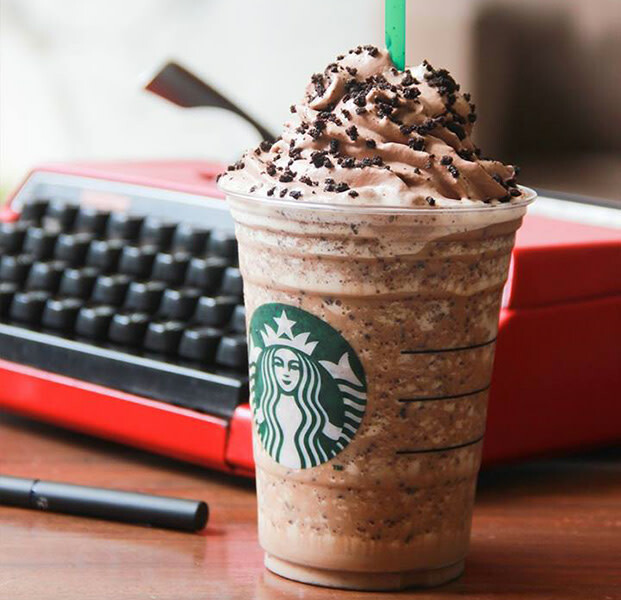 So since we know that y’all are heading to Starbucks this Saturday for their unbelievable Rs 100 per coffee offer, we thought we’d list out these 8 amazing drinks to order and slurp up! 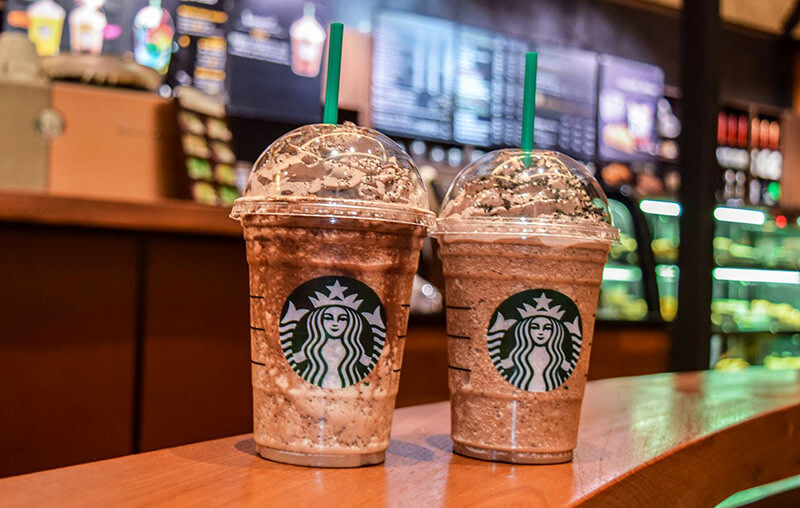 You can never go wrong with a frappuccino at Starbucks! We mean, you already know that this place is a heaven for coffee-lovers and this particular divine beverage just proves why! Mocha (chocolate to the uninitiated) blended with choco-chips, coffee, milk and ice and topped with oodles of yummy whipped cream and mocha drizzle - this one is just an all-time fave, so come get it at Rs 100 a pop! What goes best with coffee? Why, caramel of course! 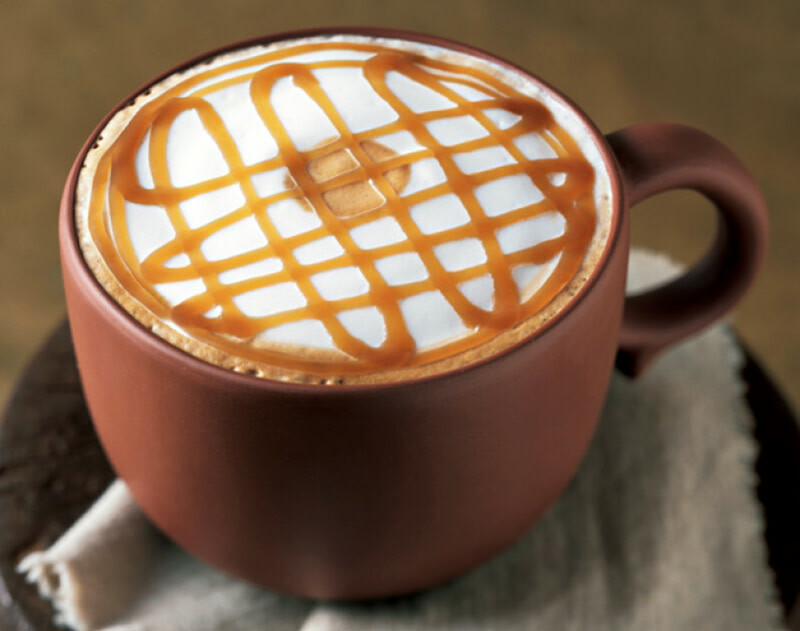 This one comprises a cup of freshly steamed milk with vanilla-flavoured syrup doused over the richest espresso and topped with caramel drizzle for a perfectly scrumptious cup of heavenly coffee. Team it up with a croissant and you’ll be thanking us later! Coffee + hazelnut = utter perfection! 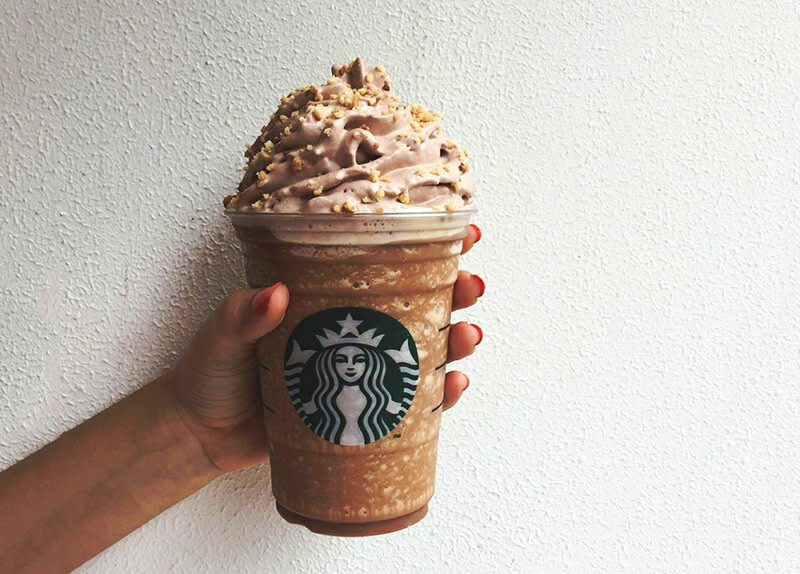 The Mocha Hazelnut Crunch Frappuccino is a blend of espresso with dashes of bittersweet mocha, creamy hazelnut syrup and milk with rich hazelnut chocolate whipped cream and the nutty flavour of cracker crumbs on top *yes we’re wiping away the drool too*! This one is a MUST try while you’re there, especially considering you’re paying JUST 100 bucks for it! What happens when the bitter, yet rich AF espresso meets yummy white chocolate? Magic guys, magic is what happens! 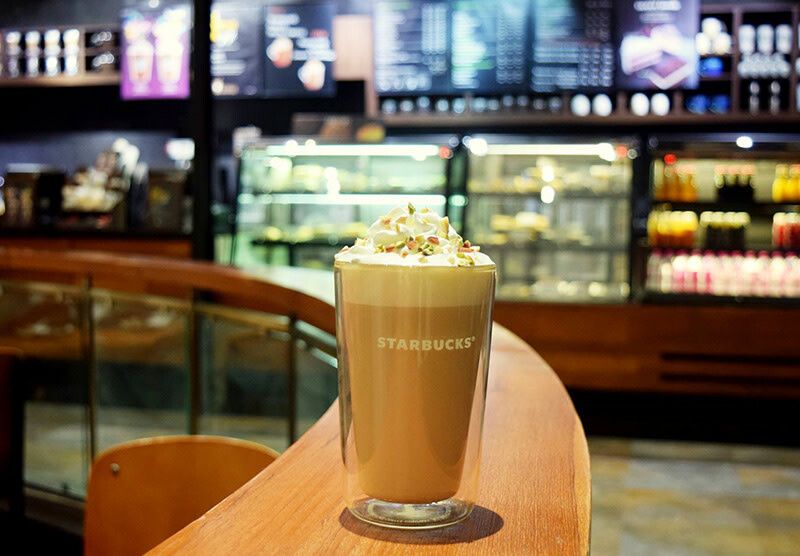 The White Chocolate Mocha over at our BFF Starbucks is essentially espresso teamed with white chocolate sauce and steamed milk and finished off with sweetened whipped cream! Seriously, we’re craving our fix just thinking ‘bout this one! This is one of the new editions to the Starbucks menu and like always, these guys don’t disappoint! 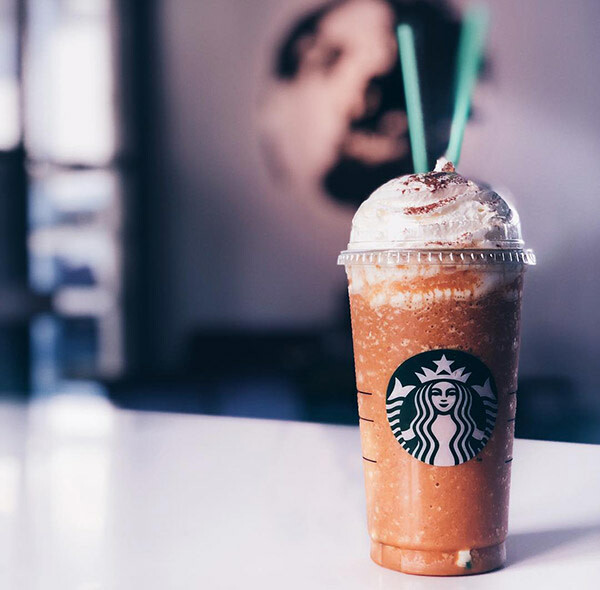 This particular frappuccino has a coffee pudding base infused with rich Irish cream, topped with fluffy espresso whipped cream and finely ground espresso powder. Add it to the must-try at Starbucks list please, and go experience coffee nirvana! This one shows how Starbucks has desi-fied its menu for us! This festive drink has inrodinate masses of white chocolate, almonds and pistachio adding flavours to the gold ol’ caffè mocha. They totally had us at ‘Triple Mocha’ so we’re defo going to town with this one on Saturday - how ‘bout you?! Who says you s’mores taste best only when you’re camping in the wild? 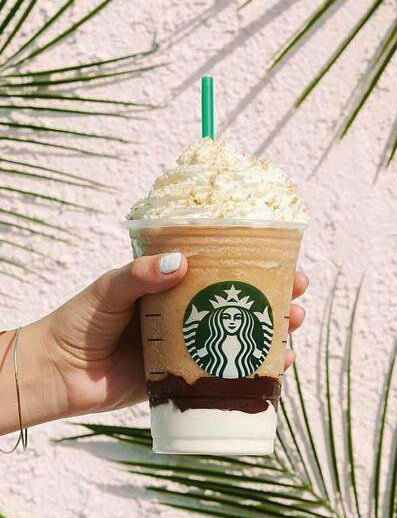 For all the marshmallow-lovers, the S'mores Frappuccino here is the drink for you! Made with marshmallow-infused whipped cream, milk chocolate sauce, a creamy blend of vanilla, coffee, milk and ice and topped with more marshmallowy-whipped cream and graham cracker crumble, this one is just ah-mazing! 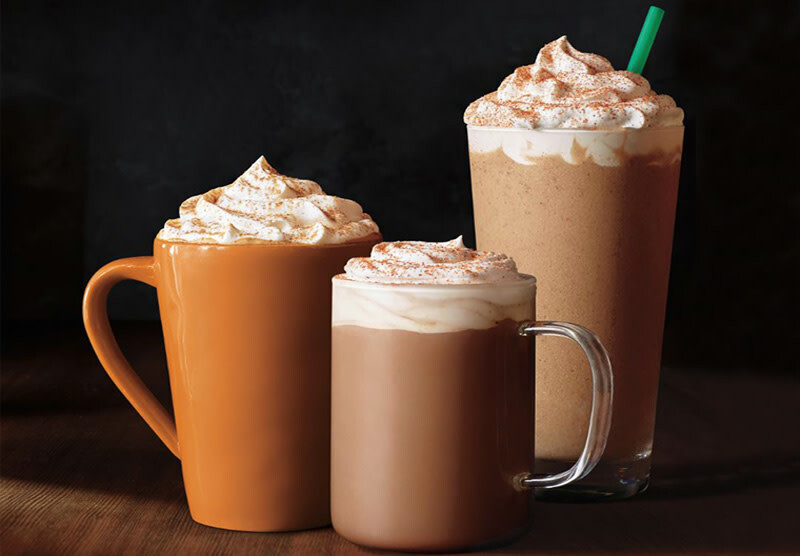 Hear all, Starbucks has FINALLY brought their Pumpkin Spice Latte to India and we’re definitely trying it out this Saturday! An autumn-y mix of espresso with milk, flavours of pumpkin, cinnamon, nutmeg and clove, this one comes topped with whipped cream and tiny chunks of pumpkins. It’s a limited edition drink, so don’t forget to try it out while you’re there! So these were just 8, you can try out ANY from their hefty menu for just 100 bucks a pop! Go try ‘em all and let us know if we missed some good ones so we can add them to our list too! Seeya there!